Item # 144864 Stash Points: 595 (?) This is the number of points you get in The Zumiez Stash for purchasing this item. Stash points are redeemable for exclusive rewards only available to Zumiez Stash members. To redeem your points check out the rewards catalog on thestash.zumiez.com. When someone does something dumb, slap them with this Bruh sticker from Stickie Bandits. 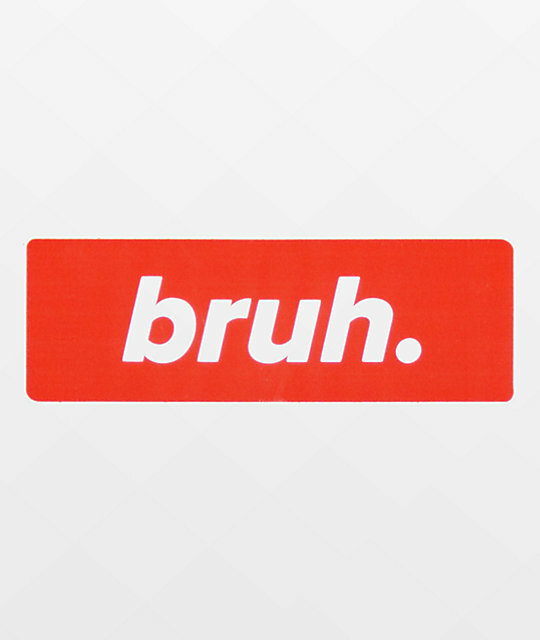 This sticker shows a streetwear inspired "bruh." text with a bright red background. Bruh. red sticker from Stickie Bandits. 4" W x 1.38" H.